Senovazne Namesti 13, 11000 Prague, Czech Republic. 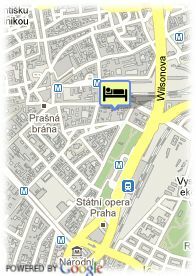 Boscolo Hotel Carlo IV is an old bank in the heart of Prague, a gem of hospitality by Boscolo Hotels. It was designed by the Austrian architect Wölf in the neoclassical style, the building, which now houses the Boscolo luxury Hotel Carlo IV. 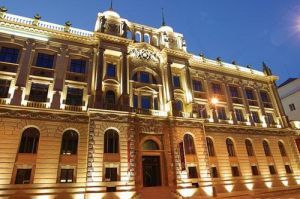 It was built at the end of the 19th century as a bank, eloquently testified by the inscription still in place over the main entrance of the Czech Mortgage Bank, whose exquisitely neoclassical portal brings to mind both the National Theatre and the National Museum. Paid covered parking at the hotel (32.00 €).